Yorke tells new artists to steer clear of corporate labels. 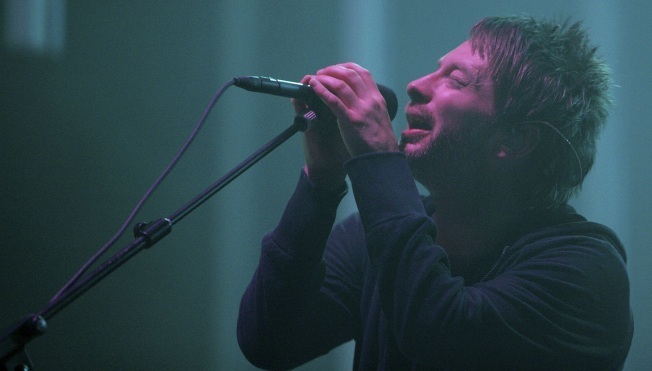 Radiohead frontman Thom Yorke is warning the next generation of rock stars not to sign any contracts with record labels, who he says are about to become extinct. "It will be only a matter of time - months rather than years - before the music business establishment completely folds," Yorke reportedly said. "[It will be] no great loss to the world." The leader of the band behind such hits as "Creep" and "High and Dry" has offered his insight about the ever-changing music industry in an interview with new high school textbook: "The Rax Active Citizen Toolkit." Yorke is comparing the demise of record companies to that of a "sinking ship," and advising new artists to steer clear. Yorke and his fellow band members separated from their longtime record label EMI in 2007. They released their seventh album, "In Rainbows," online, with fans choosing what price they would pay.